Our Brazilian Jiu-Jitsu program allows you to practice real self-defense in a safe, respectful and professional environment. Our academy has some of the best and most qualified instructors to make sure that your experience at Midtown MMA Houston is the best you will find. Make your appointment today and qualify for our 30 days free! 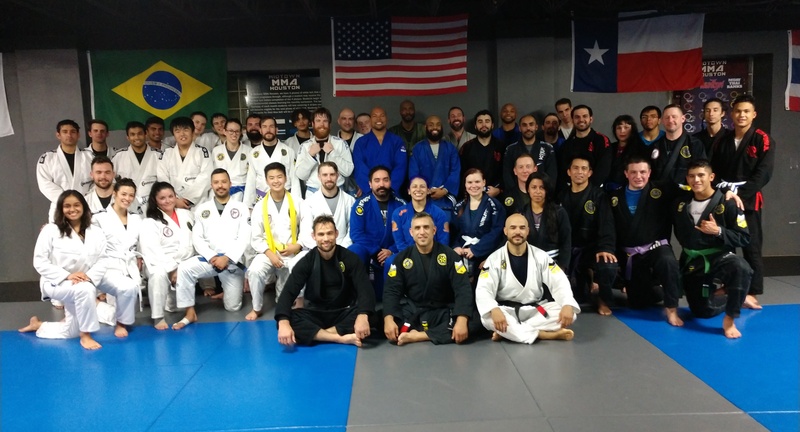 Check out some of our reviews and see why Midtown MMA Houston is the optimum choice for Brazilian Jiu-Jitsu in the greater Houston, Midtown, Galleria and surrounding areas. Are you ready to learn the best and most effective Martial Art in the world? Set your appointment today for introduction lesson in our Brazilian Jiu-Jitsu program! It has everything you need to achieve your goals. We are not just another martial arts school that has a “Jiu-Jitsu” fundamental class added to their striking class. 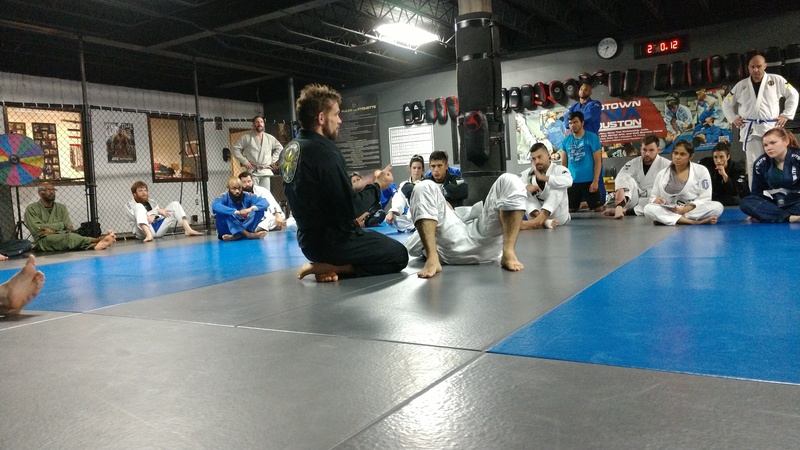 We teach real BJJ and our classes are the perfect fit for you! If you are looking to learn technique, practical self-defense or you want to be a high level competitor, we can are the school for you! Every day we prepare for our own battle whether it is weight loss, self defense, competition, or general fitness. If it is weight loss you are after, you will get it. If it is lean muscle building, you will achieve it. 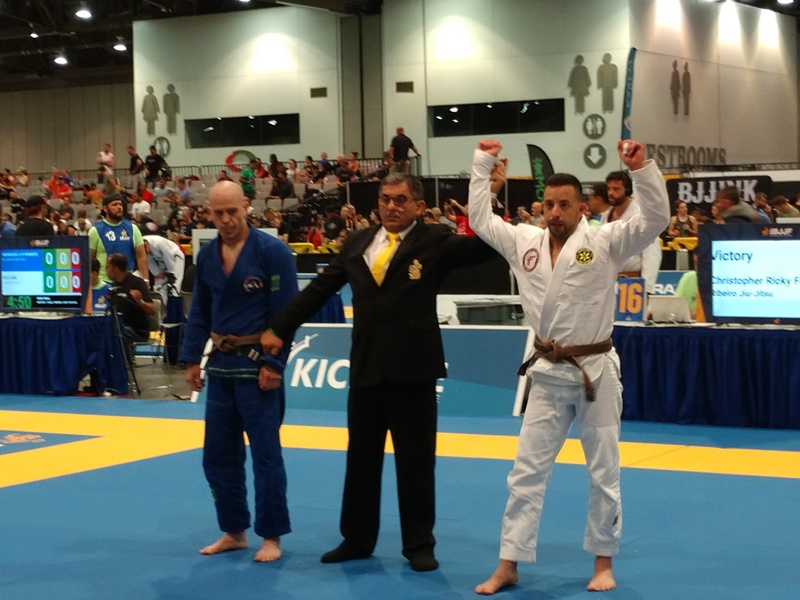 Every Brazilian Jiujitsu class at Midtown MMA Houston has a strong emphasis on fitness and conditioning. Our Brazilian Jiu-Jitsu warm-ups will not only develop muscle memory but also get you in the best physical shape of your life! The most common feeling one can have when beginning their journey is feeling challenged from the basic movements and techniques. Most people have never moved their own weight around on the ground before, not to mention the weight of someone else. Our warm-ups are designed to give you the strength and endurance you need to advance to the next level. Fitness training is a fundamental part of every class. Learning a technique properly means to understand the move, ask questions, drill the technique with a team mate and test it out during our sparring time. In order to spar properly and safely, every student must attend each part of class to get the full experience Brazilian Jiujitsu has to offer.